Whether you’re drawn by majestic mountain peaks, fresh ocean air, covered bridges or vibrant cultural offerings, the Eugene, Cascades & Coast region (Lane County, Oregon) has all this and more. Visit some of the state’s most scenic waterfalls. 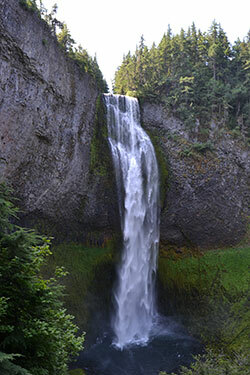 From Oregon’s second tallest waterfall to hidden falls that bubble with white water, the region is teeming with natural wonders to discover. Some require a trek through wilderness, but many of the most scenic waterfalls are easily accessible for a range of sightseers. 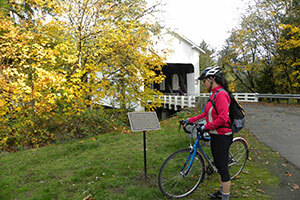 Known as the Covered Bridge Capital of the West, Cottage Grove claims six classic wooden spans, many listed on the National Register of Historic Places. The South Willamette Valley’s backdrop of the idyllic countryside, lakes and stream only adds to the bridges’ photographic appeal. 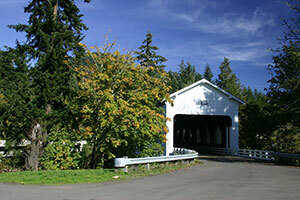 The Eugene, Cascades & Coast region boasts a total of 20 covered bridges, more than any county west of the Mississippi. 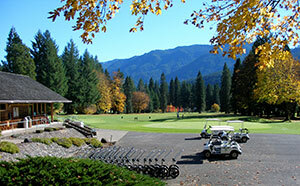 With three distinct landscapes to explore, golf enthusiasts of all ages and skill levels will enjoy inspiring vistas, majestic coastlines and skyscraping peaks that fill Eugene, Cascades & Cascades region. From the Willamette Valley to the world-famous links along the Oregon Coast and the pristine courses shaded by the Cascade Mountains along the McKenzie River, there’s something here for every skill level. You’ll also find beautifully designed championship courses, exquisite private courses, easily accessible public courses and the nation’s largest on-course pro shop. 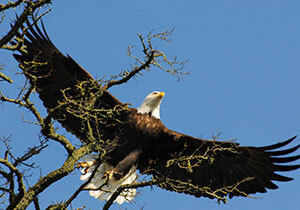 Oregon boasts 57 unique avian species, making it a birder’s paradise – if you know where to look. Check out the state’s birding trails. These self-guided tours, available online, offer maps and details on birding hotspots, helping wildlife watchers zero in on the action. When cyclists roll into the Eugene, Cascades & Coast region they connect with pedal power! With the sparkling Pacific coastline, gentle hills of the Willamette Valley, and thrilling Cascade Mountain Range, Lane County’s climate and topography is aptly suited for cycling. Home to three of Oregon’s official scenic bikeways and Oakridge’s mountain biking trails, known world-wide, this region is a delight to see from a bicycle seat. Over 42 miles of shared use running paths serve trail runners, world-class track and field athletes and recreational walk-joggers alike. 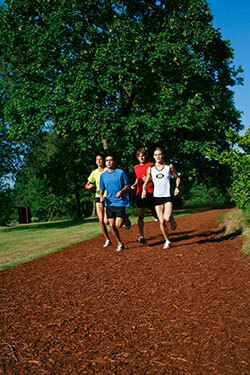 European-inspired bark chip running trails are prevalent throughout the city, spanning flat land and hillsides alike. Paved paths wind along the beautiful banks of the Willamette River, with multiple footbridges, mileage markers and runner-friendly amenities such as drinking fountains and restrooms. 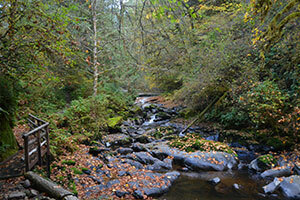 There’s a reason hikers are always smiling in the Eugene, Cascades & Coast region. On any given day nature lovers can take their pick from hundreds of miles of trails and a striking amount of natural diversity. Along the coast, windswept headlands overlook crashing breakers. Hikes into the Cascades reveal old-growth forests and snowcapped volcanoes. Nature escapes can even be found right in town. Extending 30 miles from Cape Perpetua Scenic Area to the Oregon Dunes National Recreation Area outside of Florence, the Eugene, Cascades & Coast’s stretch of the Pacific shoreline packs in some of the finest beachfront hiking in the state. 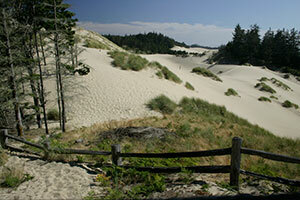 The Oregon Dunes National Recreation Area is known as North America’s most extensive network of coastal dunes. But from the passenger seat of one of the area’s dune buggy tours, a simpler description may come to mind for this 40-mile stretch of terrain between Florence and North Bend: a larger-than-life sandbox. Along the shoreline, ever-shifting sea breezes can transform knee-high mounds of sand into 500-foot-tall mountains that tower above visitor’s heads and shelter pristine freshwater lakes and secluded beaches. For a classic western adventure, few experiences equal that of saddling up a horse and hitting the trail. 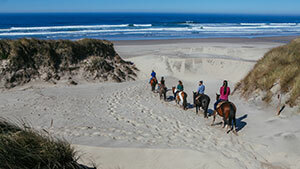 And few places in the country compares to the variety of terrain to explore in the Eugene, Cascades & Coast region, whether galloping on the beach, climbing along a mountain trial or visiting an historic ranch. 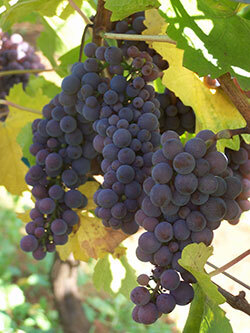 Positioned at the south end of the Willamette Valley, the South Willamette Wineries represent the largest of Oregon’s four American Viticulture Areas (AVAs). Eugene and Springfield’s metro areas make excellent home bases for discovering Oregon’s Wine Country and internationally renowned Pinot Noir. Within an easy, half-hour drive to town, visitors can sample more than a dozen different vineyards and tasting rooms, many boasting award-winning vintages made from the state’s signature grape varietals, including the famed Pinot Noir. It’s no wonder tripadvisor.com ranked the area in the top 10 wine destinations in the country! At last count, Oregon claimed close to 120 breweries and ranked as the second-largest producer of craft beer in the country. With more than 14 breweries, the Eugene, Cascades & Coast region makes an ideal place to have a drink in the microbrew scene. Want to load up for the road? 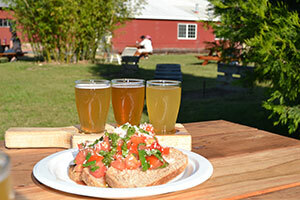 The Eugene area has a number of popular tap houses, bottle shops and growler stations. Springfield and Eugene are also hubs for Arts and cultural experiences. 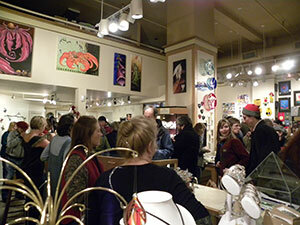 During the first Friday of every month, Eugene hosts art walks that showcase new works from local artists. Springfield follows with the second Friday of each month, highlighting works along the town’s revitalized downtown area. Similarly Cottage Grove hosts a Last Friday art walk and Florence features a second Saturday art tour. 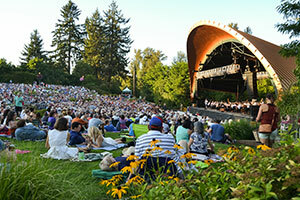 Fantastic performing arts companies dot the Eugene, Cascades & Coast area as well. Whether it’s a weekend show of the symphony or a night out at the local theater, venues across Lane County are thriving with new acts every month. Content provided by Travel Lane County. For more information about this and all there is to do in the Eugene, Cascades & Coast region, as well as ordering a free copy of the Official Eugene, Cascades & Coast Visitor Guide go to www.EugeneCascadesCoast.org.